Today, the places where the gospel is yet to take root are not so much geographical as they are cultural and ideological. Within the borders of any given African country, the Church may be alive and well among one people group and nonexistent among another. In African nations where Islam is dominant, Christianity is often simply not welcome. 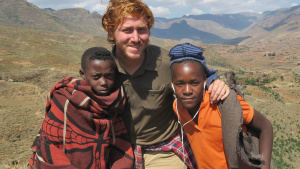 Because of these barriers, about 1000 of Africa’s 3700 unique ethnic people groups, most of them Islamic, are still unreached, and have no viable gospel witness. That’s over 300 million people who have little opportunity to hear the good news, and even less opportunity to be discipled as followers of Jesus. In 1 Corinthians 13:13 Paul states, “And now these three remain: faith, hope and love. But the greatest of these is love.” It’s knowing Christ and his love that draws us to seek an ever-deepening relationship with him and an ever-deepening knowledge of his word and his ways. It’s knowing his love that compels us to go to those who have yet to hear of the life, peace and hope that is found in him. It’s the love of Christ that we long to share with Africa’s unreached peoples, a love that will draw many to a saving knowledge of our Lord. Recognising the importance of unity in prayer, and the high priority of prayer in the spiritual battle, we will embrace daily prayer. We will redouble our efforts to recruit needed support personnel for regional offices, new team leaders, and other key positions, and continue to look for ways to bring African leaders and African influence into AIM. All parts of the body, are precious. All of our members, long-term, short-term, frontline and support ministries, mobilising and receiving regions, will work together and depend on one another. It is in faith that we are stepping out to accomplish the task before us. We recognise that it is not something that we can begin to achieve in our own strength, but we are asking and trusting in the Lord for all that is ahead. Acknowledging our reliance on God, and through his grace and your partnership, in the next five years, we commit wholeheartedly to engaging 20 new unreached people groups and to making gains in church planting among 20 more groups amongst whom we are already working. In addition, our vision is to facilitate 40 new teams reaching the African diaspora – Africans living abroad. We pray and labour to see our partnerships with African churches lead to mobilisation of African workers to reach the unreached, who will work beside us and eventually take ownership in this task. We will continue to strengthen African churches by equipping their leaders and continually focusing on our priority: Jesus Christ, his glory, his church, and his grace. 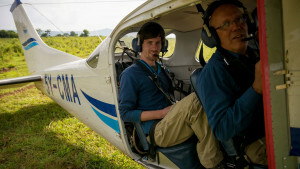 Our hope of seeing disciples made and churches planted among unreached people groups in Africa is based on nothing less than Jesus’ call upon us to “Go and make disciples of all nations….” and the assurance he gives that “all authority in heaven and on earth” has been given to him (Matthew 28:18-20). As we ‘go’, we will seek him for the grace, guidance, strength and wisdom we need to see his command fulfilled. Our hope and vision for the next five years includes more teams of workers living among unreached people groups, demonstrating Christ in the way they do day-to-day life and share the gospel. It is to see new churches planted and existing churches grow in knowledge and depth of understanding, producing disciple-making disciples, missionaries and new leaders filled with the hope of glory and the power of the Holy Spirit. 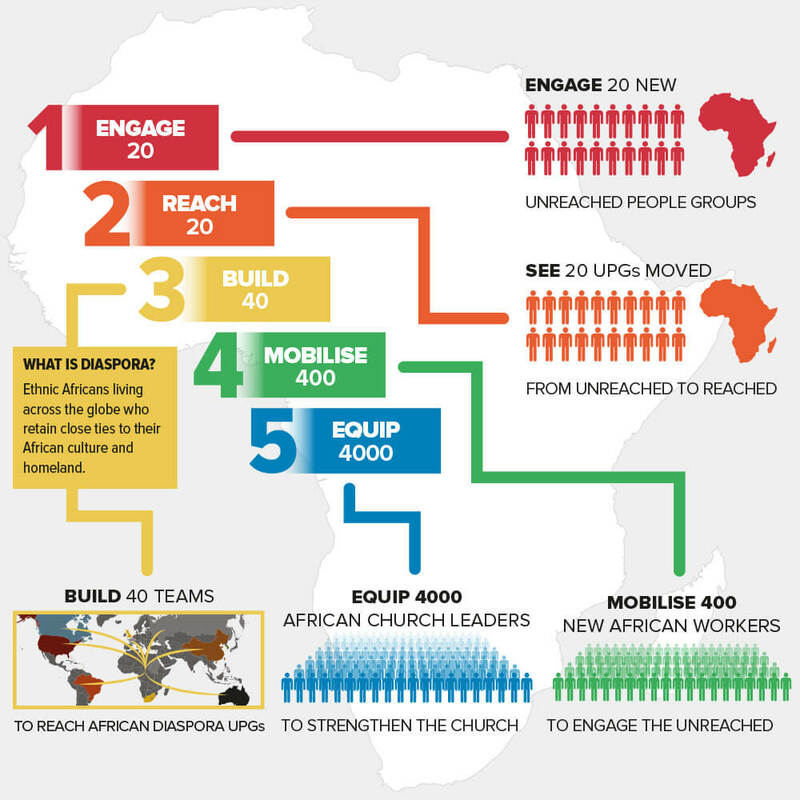 AIM’s history has been characterised by efforts to reach out to Africa’s unreached. In 1895, this was the ‘inlands’ of Africa, the interior of the continent where there was no gospel witness and no church. Since then the Lord has sovereignly established many churches in Africa among those ‘inland’ peoples. While celebrating what he has done over the past 120 years, our current objective remains the same – to go to the difficult places, the ‘new inlands’ where there is no church… to the ends of the earth. Our calling means that there is a ‘God-shaped task’ before us – a task born out of our history, a task rooted in scripture and a task that needs your support. 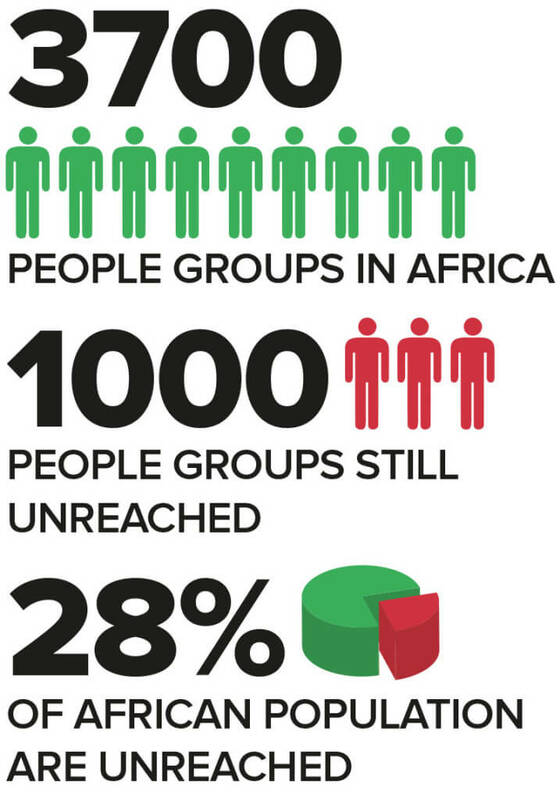 Unengaged: an unreached people group where there is no church planting effort going on. Unreached: an identifiable people group in which there is no indigenous community of believing Christians with adequate numbers and resources to evangelise this people group. Africa Inland Mission had its beginning in the work of Peter Cameron Scott. In October 1895, AIM’s first missionary party arrived off the East African coast and set their sights “inland” toward the centre of the continent where many of Africa’s people remained untouched by the message of the gospel. 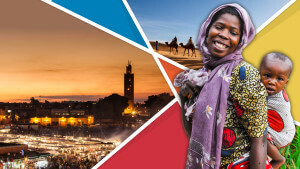 120 years later, AIM remains true to this original calling, as we set our sights on Africa’s remaining unreached peoples wherever they may live – from the centre of Africa to the cities of Europe. 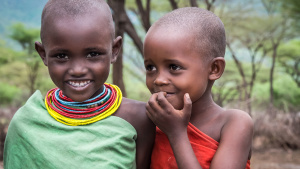 Vision 2020 is a five year strategy in step with our global ‘Ends’: With priority for unreached people groups, Christ-centered churches among all African peoples. This represents an overwhelming challenge. We’ve created this poster to help you visualise and explain the key areas of AIM’s Vision over the next five years. You can download a PDF here.